A specially curated box, designed to deliver the modern man with quality grooming essentials. 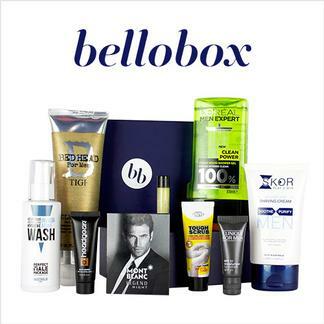 Filled with 8+ hand picked samples and delivered straight to your door, this box acts as the perfect step into the grooming world or a great gift for husbands, dads, brothers or friends! Bellobox was a pretty decent purchase. I feel the 3 monthly box is appropriate compared to bellaboxes monthly, as the items you receive wouldn&apos;t be used up within a month. The box came with some high end brands and was worth more than I paid. The price isn&apos;t any cheaper than buying directly from Bellabox, however iSubscribe offers Afterpay which might be helpful for some.